This is a writing assignment intended to get to students to think about the relevance of Earth Science to their everyday lives. Students are asked to read a short news article, selecting 1 of 3 articles provided as choices, that discusses a specific earth science topic. Students write a 1-page report summarizing the article and use the write-up to summarize their familiarity with the topics presented. 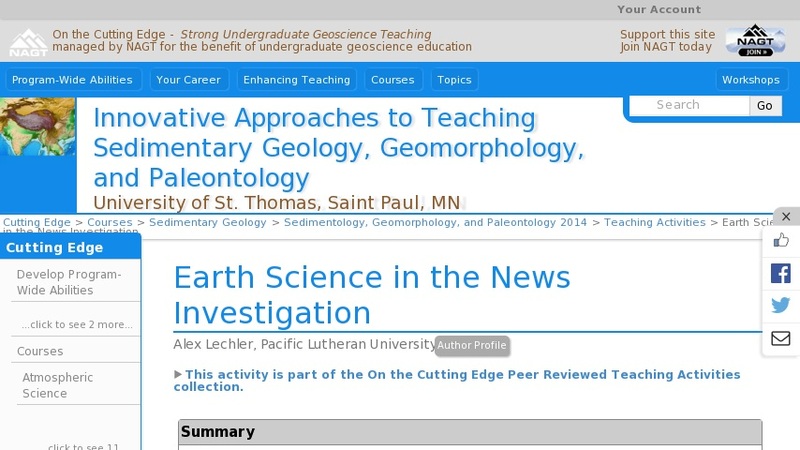 Students will re-evaluate their understanding of the article and associated earth science topic at the end of the course.